Penny is re-signing an undisclosed contract with the Giants, Art Stapleton of The Bergen Record reports. Analysis: Penny rushed seven times for 25 yards across 14 games with the Giants last season. He also caught eight passes for 50 yards. The 6-foot-2, 234-pound fullback will make most of his impact in 2019 as a blocker for lead running back Saquon Barkley. Penny was tendered a contract by the Giants on Wednesday, Jordan Raanan of ESPN.com reports. Analysis: Penny, an exclusive-rights free agent, joined the Giants in September after being let go by the Cardinals following the preseason. The 25-year-old fullback rushed seven times for 25 yards and caught eight passes for 50 yards while logging 122 offensive snaps over 14 games. Penny recorded one rush for two yards in Sunday's loss to the Titans. Analysis: Penny saw only six offensive snaps Sunday, his lowest total since Week 8. There is a chance he could see more reps to finish off the year with the Giants now officially eliminated from the playoff race. Penny (back) was a full participant in Thursday's practice, Carmen Vital of the Buccaneers' official site reports. Analysis: Penny appears to have fully recovered from a back injury sustained during Monday's win over the 49ers. 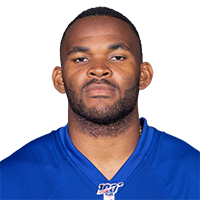 The fullback is on track to suit up for Sunday's tilt against the Buccaneers, but is unlikely to play a notable role on the Giants' offense. Penny is nursing a back injury and would have been withheld from Wednesday's practice had the Giants held a formal session, Jordan Raanan of ESPN.com reports. Analysis: The Giants instead held a jog-through session Wednesday and will likely stage their first practice of the week Thursday. Another update on the fullback should come at that time, but it appears there's some concern about his availability for Sunday's game against the Buccaneers. Penny ran the ball once for two yards in Monday's loss to the Falcons. Analysis: Penny only logged six offensive reps in the contest, but that ties his season-high in offensive action. His first carry of the year was nothing to note, and the fullback isn't likely to see an expanded role anytime soon. Penny signed with the Giants on Tuesday, Jordan Raanan of ESPN.com reports. 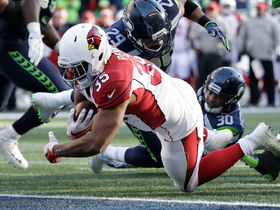 Analysis: Penny played 16 games for the Cardinals as a rookie, but spent the first part of his third season on Arizona's practice squad (as he did in 2016). The Giants' starting fullback, Shane Smith, struggled through two weeks and was subsequently waived Wednesday, so Penny will get a good look at the role. Still, Penny does not project to be fantasy relevant as he'll presumably be used more in a blocking role. Penny is making the transition to fullback, H-back and tight end, Mike Jurecki of Arizona Sports 98.7 FM reports. The Cardinals tabbed Penny with the exclusive rights tender Friday, Kyle Odegard of the team's official site reports. Analysis: Active for all 16 games last season, Penny didn't reach double-digit offensive snaps in a game until the final three contests, when he accounted for most of his production. Overall, he turned 31 carries into 124 yards and two touchdowns while corralling four of six targets for 38 yards. With David Johnson returning to full health, Penny will be little more than an insurance policy within the Cardinals backfield. Penny accrued 31 carries for 124 yards and two touchdowns along with four catches (on six targets) for 38 yards in 16 games with the Cardinals in 2017. Penny (hand) is active for Sunday's contest at Seattle, Darren Urban of the Cardinals' official site reports. Analysis: In Kerwynn Williams' (quad/ribs) first two starts, Penny had a minimal role as a short-yardage back. That said, over the last two games, Penny's workload has increased, resulting in 10 touches for 41.5 yards from scrimmage per outing. Williams remains the No. 1 option out of the backfield, but Penny seemingly has carved out a modest snap count of late. Penny (hand/groin) remained limited at Friday's practice and is listed as questionable for Sunday's game in Seattle, Bob Condotta of The Seattle Times reports. 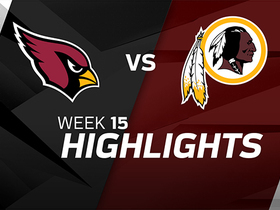 Analysis: Penny never got the chance to build on his 10-carry, 45-yard performance in Week 15 against Washington, as Kerwynn Williams (quadriceps/ribs) managed to play in last week's 23-0 win over the Giants. Both running backs seem to be on track for the regular-season finale, likely relegating Penny to his usual role as a short-yardage specialist and occasional early down replacement. D.J. Foster handles most of the receiving work out of the backfield. Penny was listed as limited on Wednesday's injury report due to hand and groin concerns, Josh Weinfuss of ESPN.com reports. Analysis: Penny has received double-digit snaps on offense the last two games, likely to relieve Kerwynn Williams as he plays through cracked ribs and a quad injury, and the results have been respectable: 18 carries for 69 yards and two catches (on three targets) for 14 yards. Assuming Penny ditches his designations in advance of Sunday's game at Seattle, he'll spell Williams yet again between the 20s. Penny rushed 10 times for 45 yards while failing to catch his lone target in Sunday's 20-15 loss to the Redskins. Analysis: Penny operated as the lead back for the fourth quarter after Kerwynn Williams exited with an injured quadriceps. The 24-year-old running back would likely be in line for a start next week against the Giants if Williams fails to suit up, but Penny lacks upside in a Cardinals offense that hasn't scored a touchdown in two weeks. 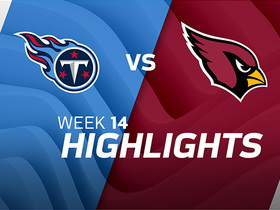 Penny earned eight of the Cardinals' 65 offensive snaps during Sunday's 12-7 win versus the Titans. Analysis: The Cardinals have been deliberate with Penny during Adrian Peterson's (neck) two-game absence. Of his 13 snaps on offense during that stretch, Penny has taken four carries for 15 yards and one touchdown while hauling in his sole target for 18 yards. Among his four rushes, three of them happened inside the 10-yard line, so he may continue to snipe prime TD opportunities from current starter Kerwynn Williams and D.J. Foster as long as Peterson is sidelined. Penny (knee) is active for Sunday's game against the Jaguars, Darren Urban of the Cardinals' officials site reports. 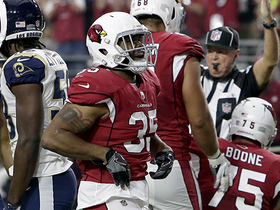 Analysis: Penny slots in as the Cardinals' No. 4 running back, and with just one carry and one reception this season, he won't impact their offense much Sunday. The Cardinals have deemed Penny (knee) questionable for Sunday's tilt versus the Jaguars, Darren Urban of the Cardinals' official site reports. Analysis: Penny has yet to miss a game this season, but his non-participation at practice throughout the week indicates he could be in line for his first absence Sunday. The offense does not figure to be affected in any way if he does sit out, as the 24-year-old mainly contributes on special teams. 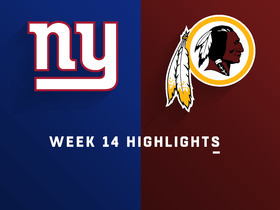 Watch full game highlights of the Week 14 matchup between the New York Giants and Washington Redskins. 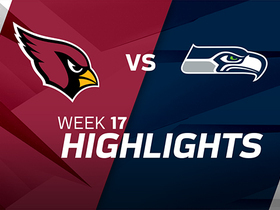 Arizona Cardinals running back Elijhaa Penny pummels the Seattle Seahawks defense and scores a 4-yard touchdown. 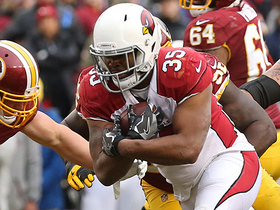 Arizona Cardinals running back Elijhaa Penny breaks multiple arm tackles for 14 yards. 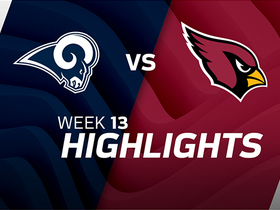 The Los Angeles Rams defeat the Arizona Cardinals 32-16 in Week 13 of NFL action. Elijhaa Penny runs in a 1-yard touchdown.